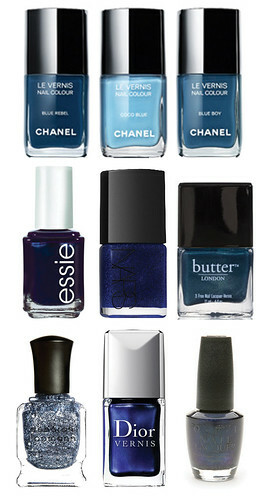 Blue nail polish seems to be the “it” color this fall. I for one am ready to hop on that band wagon. Here are a few of the blues I can’t wait to try on.